I was at the WGH show in Puyallup WA this past weekend and saw the prototypes for the On30 excursion cars. 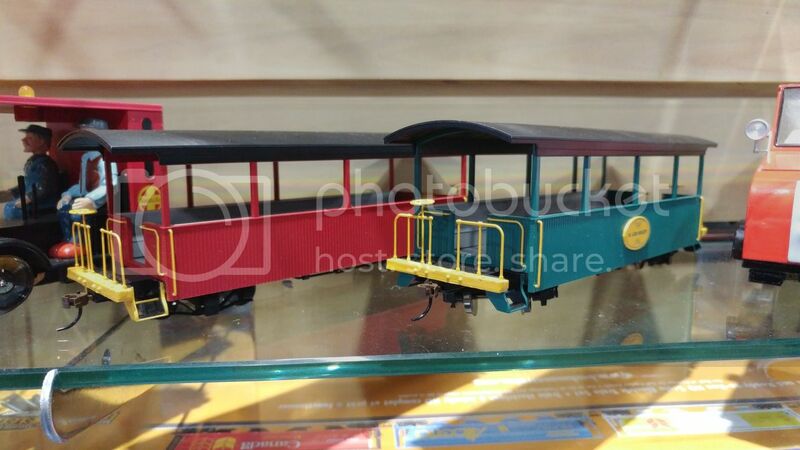 If these had been for sale at the Bachmann booth, I'd for sure would have bought one as I think I could justify one for a troop transport car (which were common on stateside RRs around Army bases in WW1 and WW2). I talked with one of the Bachman guys I'd remembered talking On30 with at the Portland NMRA convention. Real nice guy and I think he said he's also going to have an article in the On30 annual this year. Why are they listed as freight cars? I saw them there too, the guy at the booth said they should be available in April. I wouldn't mind showing my respects by getting Mr. Riley's car as well, but I really want the yellow version with silver roof; should go well with my D&RGW set. If I get one, I'd probably paint it grey and put some Army markings on it, as a lot of stateside rolling stock during WW1 and WW2 was actually grey more often than not until late in WW2, into the Korean war era. But 60 bucks for a lot off enclosed air is a bit steep in my humble opinion. Are these the last 0n30 twitches from Mr. B.? Mail order will be much cheaper, I'm sure, when they come out. I can't tell. I've talked with the Bachmann people at the "World's Greatest Hobby" tour and the Portland NMRA convention and while I think on an individual level they still strongly support On30, I think the passing of Lee Riley might makes things difficult as I understand he was the strongest proponent of On30 within the company. Is there anyone who make makes shorter On30 passenger cars? I searched the web a lot looking for some but I guess I'm out of luck. I took one my JS P. cars apart to ponder the possibilities of shortening it. Maybe taking out the four center windows to make it eight windows long. It looks like a bigger bite than I want to take. I don't think I could get everything cut straight and the frame would be a big challenge for me. I'm tempted to take my non-running trolley and see if the body will fit on a flat car. Wow! Exactly. Someone already thought of it. I Googled "tram coach" and I see others have done it. 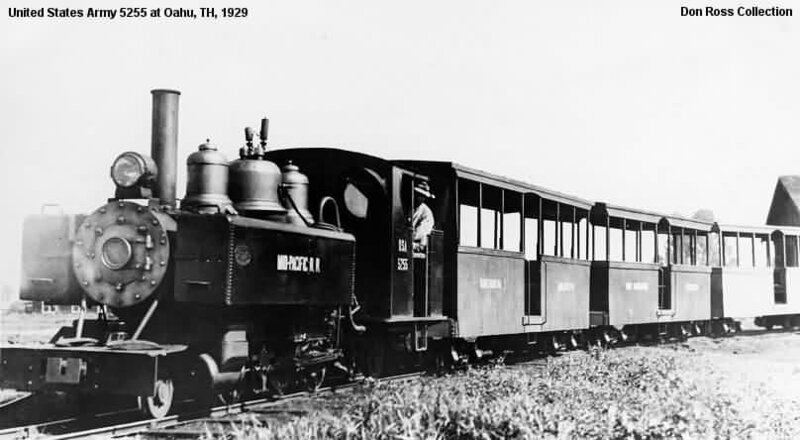 With the short freight cars, I would have thought narrow gauge railroads would have had some shorter passenger cars. I've relocated my "Narrow Gauge in the Rockies" by Lucius and Beebe to the lavatory library once again for my perusal while I'm indisposed to the outside world. Thanks Dave. I've never done a craftsman kit like that. I don't know that I would attempt something like that. They look kind of fragile, too. I started a Bachmann passenger car from the top of my layout and let it roll down hill just to see what would happen if a car came uncoupled on the way up. By the time it got to the last loop, it went flying off the track. It didn't sustain any damage but I imagine the wooden one would be in pieces. I'm going to try the trolley idea. My first On30 trolley shot craps and it's just a paperweight now until I find another use for it. It wasn't DCC anyway and my new trolley has a decoder. I've never done a craftsman kit like that. I don't know that I would attempt something like that. They look kind of fragile, too. Nah, they’re not nearly THAT fragile. Sure, you wouldn’t want to step on a wood kit or throw it across the room, but a box shape is a box shape and handled correctly, they’re just fine. 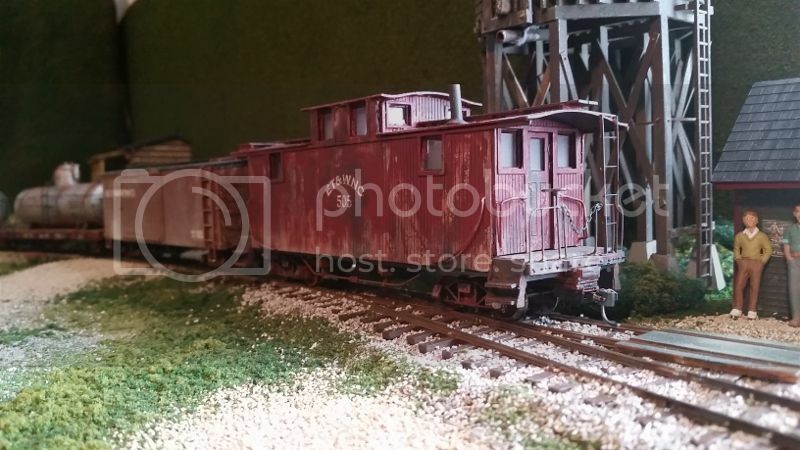 Someone sideswiped my Deerfield River Laser caboose kit with a ten-wheeler and there wasn’t so much as a mark on it (other than the weathering I built it with, that it). That’s the first such kit I ever built as I HAD to have that caboose to go with my Bachmann ET&WNC ten-wheelers. It was a learning experience and if I had another one to build, it’d look way better now that I’ve built one, but it looks, tracks and endures just like it should on my layout. It looks like you did good on the caboose. I might try it. I might just wait for the excursion cars and buy a couple of them but I like the idea of enclosed cars. From the picture, I can't tell if the excursion cars are shorter or if they are just a revamped JS car. From the picture, I can't tell if the excursion cars are shorter or if they are just a revamped JS car. I haven't seen a Jackson Sharp car, but from what I remember from the show the excursion cars were an inch or two longer than a center-cupola caboose. That would be good. The JS cars cars are 8 1/2" measured along the roof. Does anyone know if Mount Blue Model Co. is still in business? They have some 18' clerestory pass car kits. I was looking through the old Bachmann threads and see people have been asking for excursion cars since 2008. Mt. Blue is still going strong-I purchased 3 of the "shorty" passenger cars from them at the Narrow Gauge Convention in Augusta, ME last September. 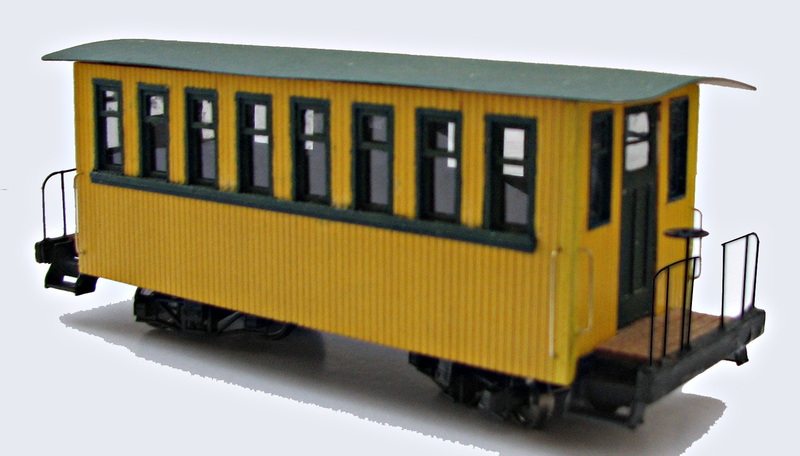 They are also the source for the wood pilot kit for the Bachmann On30 2-4-4t Forney locomotive. Very easy to build, and just what the Forney needs to make it look right.